Ontario RAT 1 and Spyderco tenacious are the mid-sized with the reasonable price which fits mostly our budge. They have a variety of options for blade edge and the place to put the belt clip and they also fit in your pocket easily as well as your hand. Especially, you do not need to care much about the quality and features. However, it will make you hard in choosing the one between two of these models. Thus, I want to show you some differences between them in order to support you in finding your best. This knife is a large folding knife, and I recommend it for using in the outdoor. Thus, for urban use, it can not meet the need because of the blade’s length. 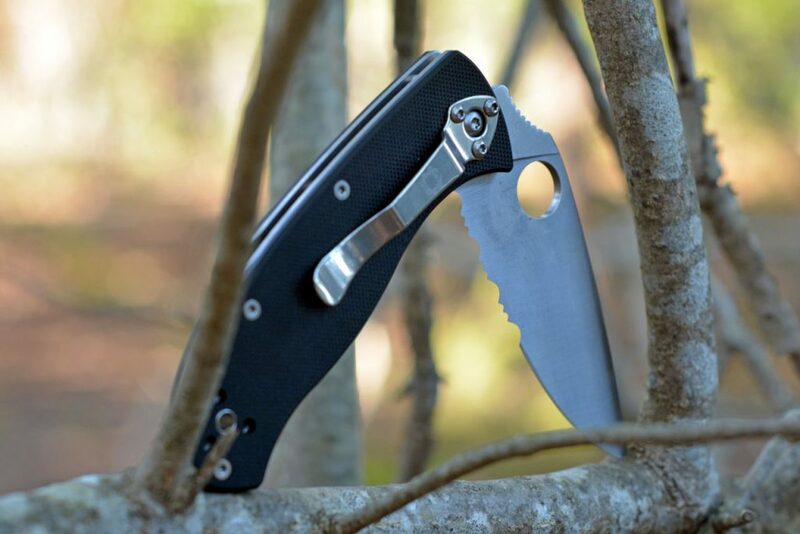 The Spyderco has the 3.39 inches blade with full length and being the usable edge. Besides, it is quite flexible because there are some options which save you from demanding to customize. Its blade is quite thick, which means that it can put up with more abuse than the thinner blade. You are able to have this knife with the plain edge and a combo of two. Moreover, all of the blade options come with the selection of a black coating that held quick and the little sideways playing with the blade and without vertically when opening. The plain edge of this knife has the benefit of the smooth cutting edge for fast and precise woek such as making feather sticks, whittling wood. Besides, this edge can make you easier in sharpening because you do not need to worry about the curves. You also can use the serrated edge which can help you much in cutting ropes, branches, However, it would be tough to sharpen the serrated edge. One more edge is combe edge which has both a plain edge on the front and a combo edge on the back, but it is quite dangerous for users if you are not careful. It is an excellent edge option for every-day knife that you want to be versatile to do the variety of unplanned task. The handle of the knife is a set of steel scawl coated in the textured G 10 laminate and fit in your hand. It is quite wide and gives the substance with not bulky. Because it is not the fixed blade knife so there is no sheath that goes with this blade. The small issue is that you can feel a little loose, but it is not the matter. Rat 1 has dual full liners which are joined and five sets of screws. The blade is flat on AUS -8 which provides a great compromise between the ease of sharpening and the compromise. Especially, the thumb jimping is quite large that can work well when gripped with gloves. It has the broad blade with the flat grind and pronounced and it is similar to the rest of the other rat line up of knives, it toes the line between the clip point and the drop point. This knife also is the good choice for outdoor performance, and it has a lot of features which should appeal hunters as well as campers. The length between the end of the finger and the start of the sharpened edge can make you feel a little uncomfortable. The scales and the liners are not flush together, and there is no gap that will raise the hot spot. Especially, moving on to the blade is easy, and the grinds are precise, but the jumping is a little bit iffy. One amazing thing is that the blade centering is near perfect when you close the knife. Besides, you can not discern blase play up or down or even side to side when you open the knife. The weight of handle is the gear, and the balance point is just in behind the index. That is down to full liners that are not skeletonized imparting the sturdy feeling. It has the saber grip feel secure. Because of the handle weight, the pinch grip on the blade may clumsy. However, when moving back and pinching at the pivot, it brings things back into the balance. The weight and the size of this knife are comfortable for the users and fit into the pocket easily. On the Ontario, it is the zytle kind which is vertically grippy, so it is very smooth and will not offers a lot of the grip. Besides, the shape is very suitable and natural for you to hold. 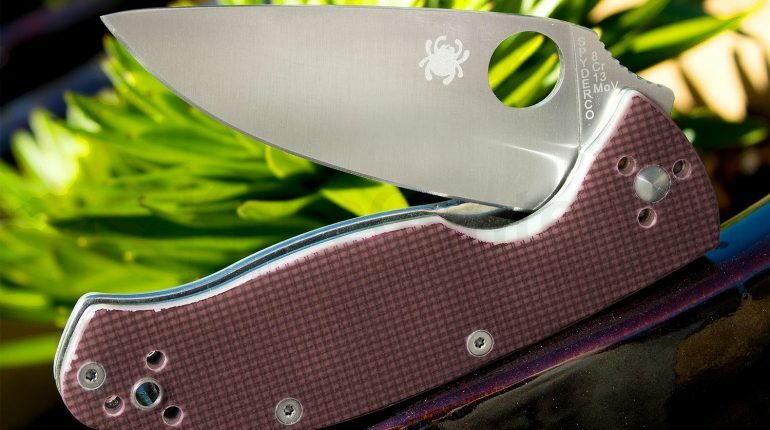 The Spyderco has the grip G10 which is medium grippy. About the lockup, they both have the liner locks the blade makes the liners pop into place. They both are very solid. However, the liner is thinner on the RAT 1 than the Spyderco; it is not the matter. On the tenacious, it has skeletonized liners. The weight of the Ontario rat one is heavier. They both are very decent and have further three stalks. They also cover the surface area again with the handle being a slightly slippery easy to get out of the pocket. About the jimping, it is on the thumb ramp and the liner on the tenacious. On the Ontario RAT 1, we have some very spaced out jimping on between the blade and the handle so your thumb could slip a little bit. Besides, you have some conservative Jimping on the line. 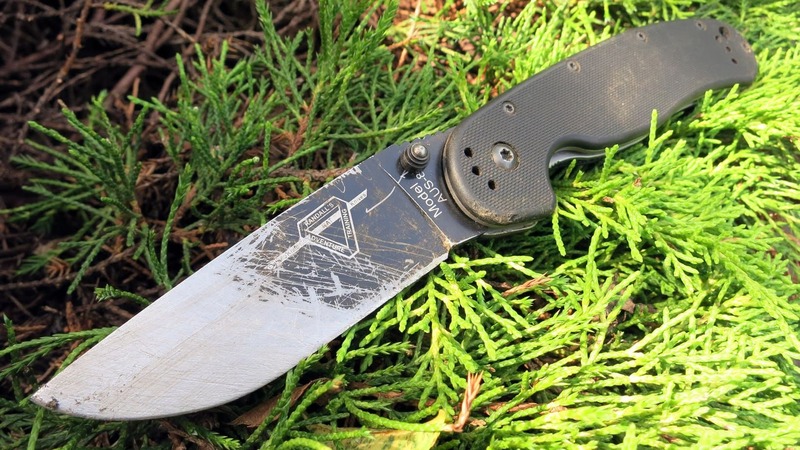 It is the 8 CR 13 MOV on the tenacious which is the high steel and easy to sharpen, but you can not get the nice sharp edge on it. The Ontario RAT one, it is us8 steel which is very sharp which can make the decent blade steel. The despotic on the tenacious is comfortable. However, on the Ontario RAT 1, it has the large area where your fingers sit, and it is also contoured. The Ontario RAT 1 is heavier than the tenacious by 0.9 ounces. I think it is not much so it is not the big matter. In conclusion, making a choice between Ontario RAT 1 and the tenacious is not a simple task. Thus, you should know well the information about them. And then try to make it fits your need. I hope that my page can be useful for you and thank you for reading.